Ready for a spring closet refresh? Start from the top, literally! Changing up your blouse game is the easiest way to perk up your wardrobe for any season and we’ve narrowed down our favorites to a select few must-haves. From boho to bell sleeve, these are the tops that every woman should have on deck this season! If you think high necklines need to be reserved for fall turtlenecks, think again. High necklines are spring and summer ready in a sleek sleeveless look that showcases just the right balance of skin and sophistication. 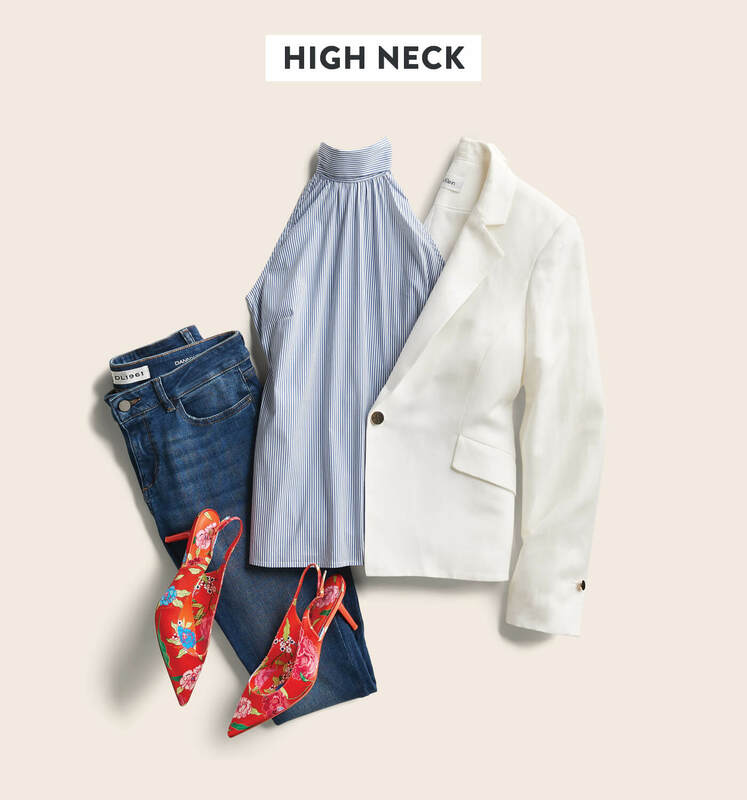 Slingback heels and skinny jeans are all you need for an elevated daytime style, but a light blazer will transition this look to night in a pinch. Preppy conversational prints (fabrics with recognizable images like animals, boats, etc.) have been around forever, but always seem to find their way back into our closets. 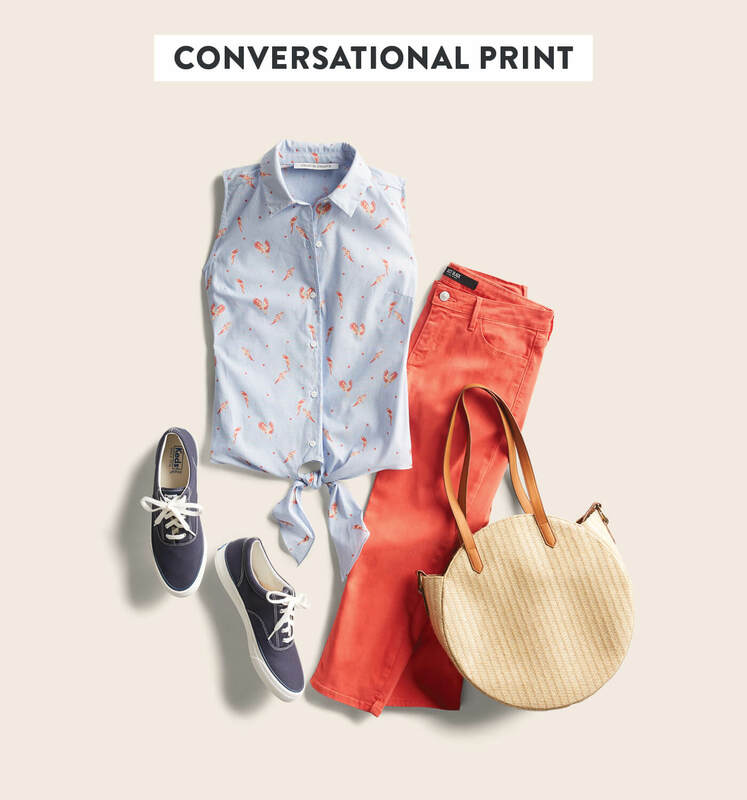 Perfect for a day out or as your vacation go-to, we love conversational print on a cotton button-up paired with corresponding colors. Think tiny embroidered flamingos on a white top with matching pink cropped skinny jeans. Tie it together with neutral tennis shoes and a straw tote and you’re good to go! Breezy boho is back for your spring to summer transitional look. 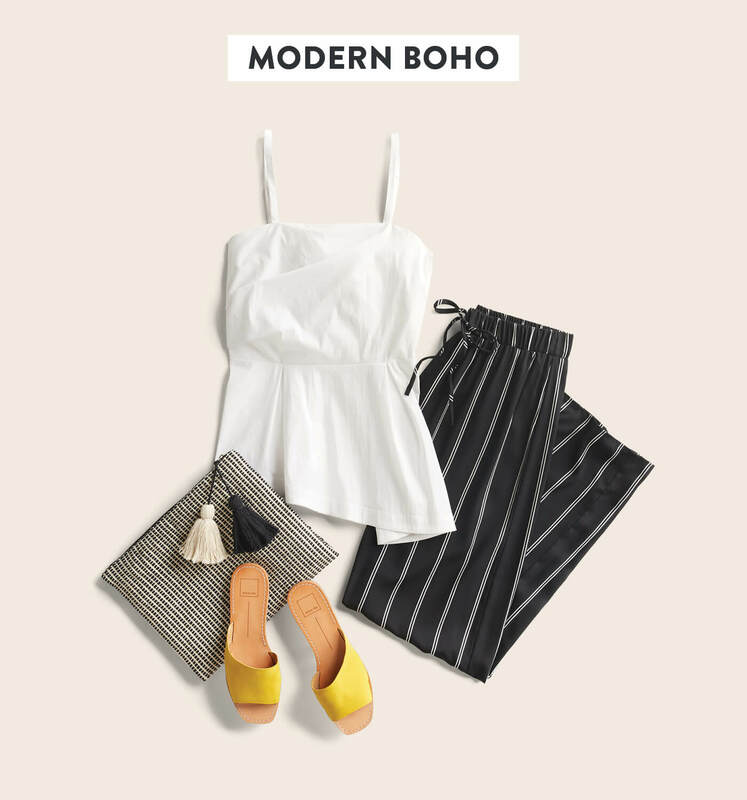 A favorite for everything from patio breakfasts with the girls to late night cocktails, this year’s boho look is a more minimal approach in neutral tones with playful details like tassels and textures. Add a slide in summer hue to liven up this look. With sticky summer days fast approaching, it’s time to tuck away polyester and other synthetics for another time. Breathable fabrics like cotton and linen will keep you cool while giving you that chic “vacay everyday” look. 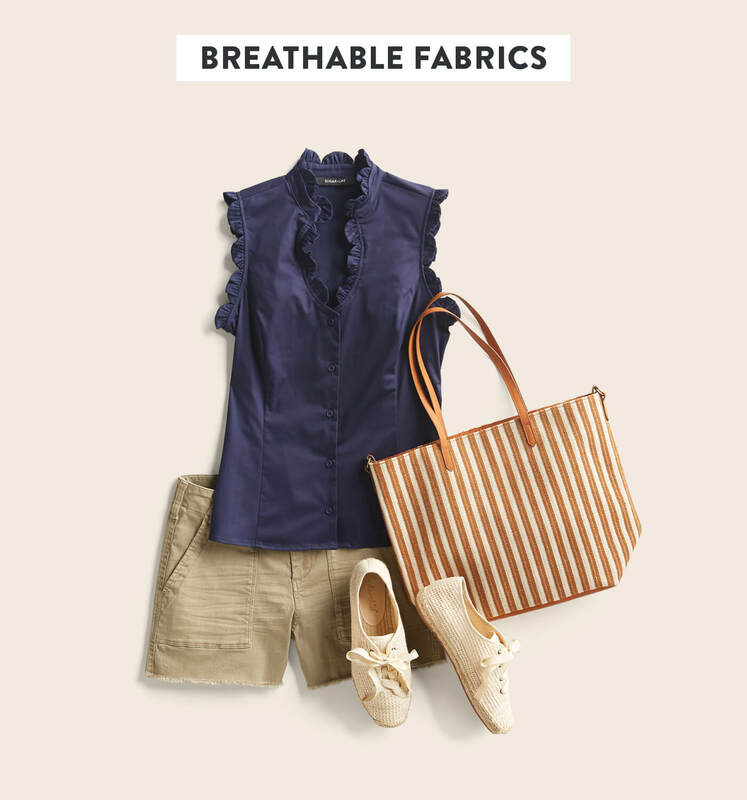 You can’t go wrong in a crisp breathable top paired with khaki shorts, walkable sneakers, and an oversized tote! Statement sleeve lovers, rejoice! The bell sleeve is back for spring with a timely update. This season, keep the colors light and the sleeves cropped for ultimate comfort. Dress it down with straight leg jeans, an on-trend circle bag, and mules in a bright pop of color.